A Pas de Deux of Color and ShapeSpring fashion, photographed by a former dancer. The Coolest Breakfast Club Is Actually in TokyoYes, even cooler than one with Molly Ringwald. This Season, Designers Have Embraced the Black Dress With a VengeancePhotographer Steph Wilson shot a range of uncommon dresses in New York’s favorite non-color on the city’s streets. An 18-Year-Old Photographer Shoots the Fall CollectionsSophia Wilson is not your average teen. The Effortless Style of L.A.’s Retro KidsA new wave of youths who like old things. Spring Fashion Captured by a Photographer Who Hides FacesArielle Bobb-Willis took the season’s brightest clothing to New Orleans. Spring Fashion As Seen From BehindBecause backs are beautiful, too. Spring Fashion Captured in a Vibrant Seaside TownThe season’s pastels and patterns at play on a scenic beach in England. Photographing the Season’s Most Beautiful ClothesA fashion shoot staged in London. 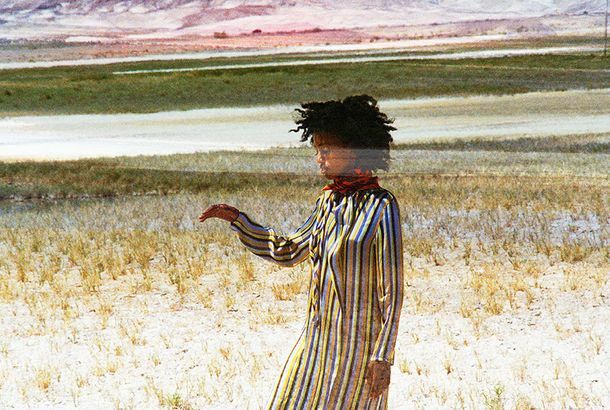 Mysticism and Fall Fashion Collide in the Mojave DesertPhotographer Jim Mangan took the season’s most colorful prints out West. The Glamour of Palm Springs Comes to Life in This Season’s Saturated ShadesPhotography collective JUCO takes today’s ‘70s-inspired fashions to the southern-California desert retreat. Texas Forever: Spring Fashions Go on a Lone Star State OdysseyInspired by small-town women of the ’50s and ’60s, photographer Maxine Helfman and her muse Keiryel Mcfail create a cinematic take on today’s clothes. A Fashionable Family Vacation in the Lone-Star StatePhotographer-model Louise Parker took the latest resortwear to Marfa, Texas. A Photographer Who Is, and Isn’t, in Every Frame She TakesSee Maia Flore’s surreal — and entirely faceless — pictures of herself in this season’s clothes. Decadent Jewels in the Midst of DestructionWhere diamonds and rubies collide with the grotesque. This Year, Fall Prints Take a Cue From SpringA portfolio from photographer Erik Madigan Heck of the season’s most vibrant patterns. Fall’s Chicest Accessories Get the Still-Life TreatmentPhotographer Emma Ressel conceived these vibrant images full of decadent glassware, peculiar taxidermy, and lush Italian produce. A Wedding Weekend in a Classic Beach TownA photographer reunites with childhood friends in Seaside, Florida. Summer at the Cabin, Captured UpstateA photographer’s pond-side getaway. School of Visual Arts’ Students Have It Their Way With a Box of Designer ClothesPhotography students interpret some of the season’s most interesting designs. Ruffles and Sequins, Minus the FrillsFestive dressing, subverted. Driving Through L.A. With Resort’s Most Vibrant LooksWe took the brightest resort looks to the sunny city of L.A.
Fall Outerwear Takes a Trip to the BathhouseCultures clash in this fashion editorial. See a High-Fashion Take on High SchoolThe eclectic tastes of teenagers, as filtered through Vuitton and Saint Laurent. Pre-Fall Takes a Trip Down Croatia’s CoastlineLuke and Nik stage a coastal retreat with bold hues from pre-fall mixed with athletic separates. Let the Sun in With Spring’s Graphic SilhouettesWe sent a box of clothes on vacation to New Mexico to escape the sludge. Take A Surreal Trip Through Resort FashionFor this installment of the Cut’s Out of the Box Series, Asger Carlson pushes the resort collections beyond the realm of possibility. Cozy, Nostalgic, Hungarian: Marton Perlaki Shoots Fall Fashions in His HomelandAs seen through the lens of his own past. Prints on Prints: Fall’s Most Vibrant, Decadent PatternsJUCO goes inside America’s legendary Greenbrier hotel. Summer’s Louche Look: Long Chains, Loose Buttons, No BrasChristopher Anderson’s latest Out of the Box portfolio. Spring’s New Shapes: Dramatic, Fluid SilhouettesOliver Stalmans’s striking interpretations of the season’s fashions. Spring in Reverse: Detailed Backs Take Center StagePart two of Erik Madigan Heck’s bold interpretations of spring looks. Found in Translation: Shooting Streetwear in TokyoOur experimental fashion shoot goes on the road. ‘Lucid Dream’: Ina Jang Shoots Summer’s Breeziest LooksPhotographer Ina Jang renders gorgeous spring-summer high fashion in her own serene-yet-whimsical style. 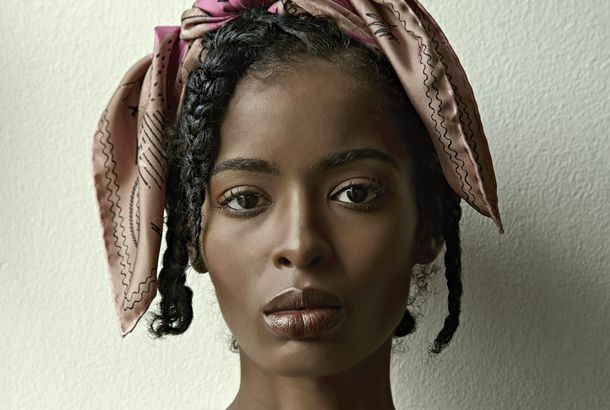 Odd Future: Shooting Spring’s Bold New Patterns and PrintsSynchrodogs, a surrealist photography duo on the rise, shoots spring’s boldest designer clothes for the Cut. 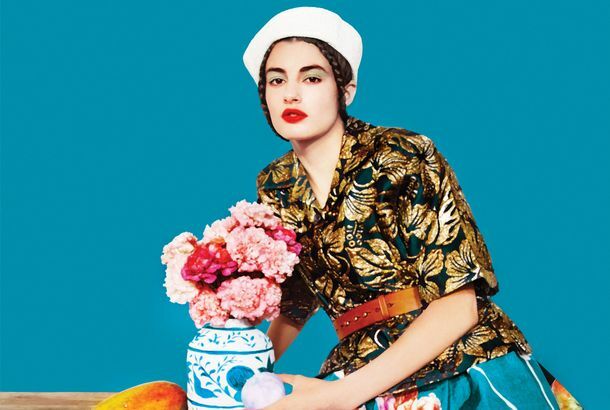 All a Blur: Marcelo Gomes Shoots Resort 2013’s Colorful ClothesThe photographer Marcelo Gomes gives the Cut his painterly take on Marni, Balenciaga, Christopher Kane, and more.